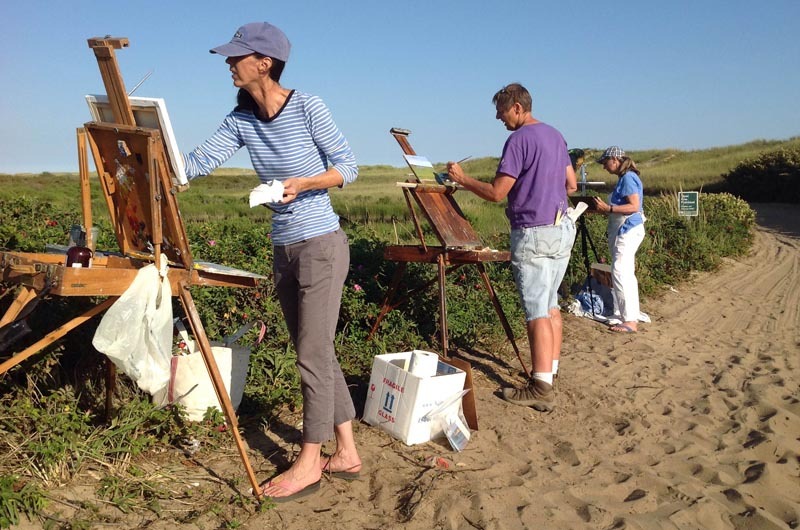 After paining at Menemsha, South Beach and Polly Hill, plein air artists are ready to show their work. They have been out painting for the past few weeks at Menemsha, South Beach and Polly Hill, immersing themselves in their surroundings as they practice the art of plein air. And now the artists are ready to show the results of their work. On Friday, Sept. 12, from 5 to 7 p.m. there will be an opening reception for the artists, including Lowely Finnerty, Judith Howells, Kanta Lipsky, Thaw Malin, Peter Mallen, Marjorie Mason, Brandon Newton, Jim Shigley, Liz Taft, Kate Taylor and Valentine Estabrook. The show takes place at the Workshop Gallery in Vineyard Haven and runs through Sept. 19.